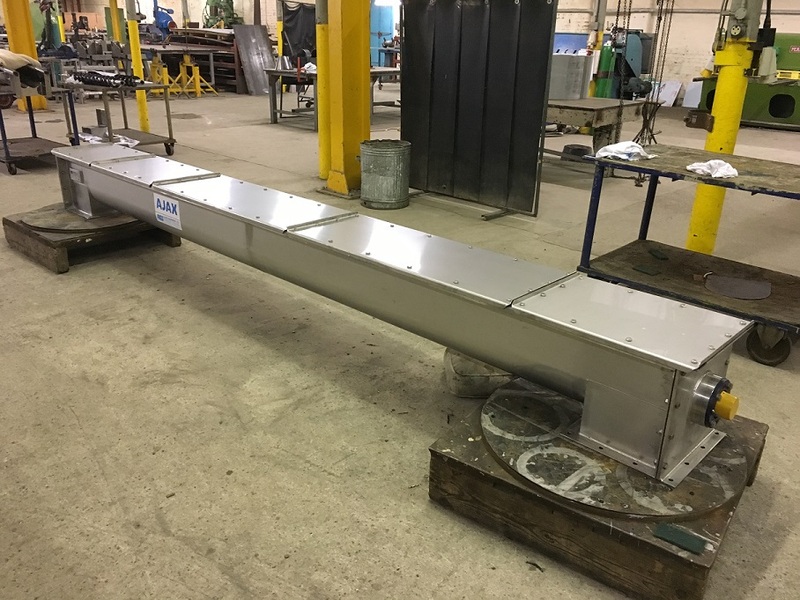 Solids handling specialist, Ajax Equipment, has supplied a global food ingredients supplier with a screw conveyor to replace an existing screw feeder and vibratory feeder. The food ingredients supplier provides batters and breaders, seasonings, and functional ingredients to the food processing and foodservice industries. The screw features cut and folded flights to provide mixing, as well as transferring biscuit crumb. Close co-operation with the customer was utilized to optimize the transfer capability and mixing effect within the screw conveyor. The stainless steel screw feeder also includes an inspection window to allow monitoring of material condition, as well as a hinged cover and polished welds to ensure ease of cleaning. “Ajax has almost 50 years of experience handling food products. Our equipment can be customized to the material, ensuring consistent product quality, as well as to include hygienic finishes, maintain material temperature, and clean-in-place,” said Ajax technical director Eddie McGee. For more information on Ajax Equipment screw conveyors, visit www.ajax.co.uk.